My sister and I have a running joke throughout the year that we countdown not how many school days are left, but how many lunches to pack we have left. To me, this is a big plus of the summer. 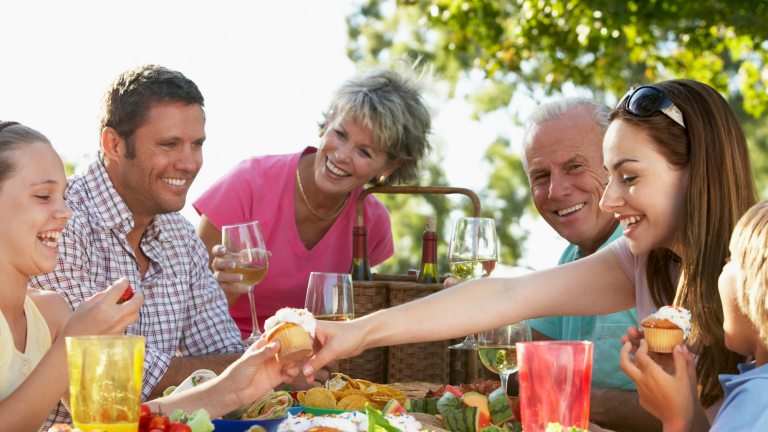 Summer is all about spending time together, reconnecting, and easy, breezy living. Meal prep should not be a source of stress, especially in the summer. 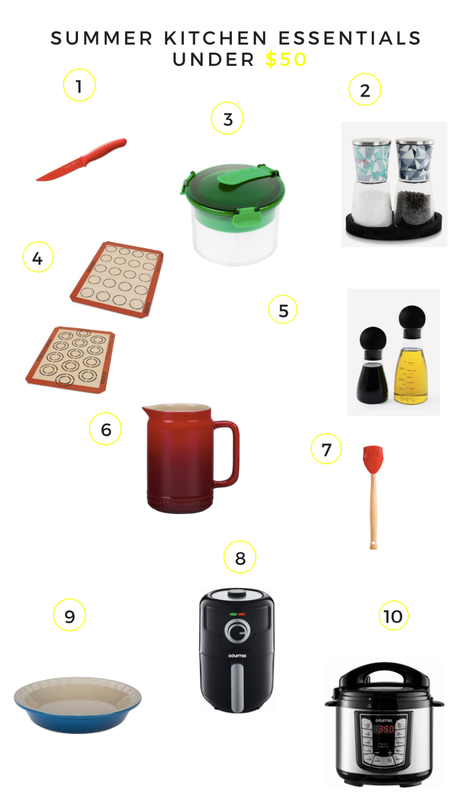 We want to ride the chillax vibe as long as possible and we have summer kitchen essentials (all under $50!) to help you do just that. 1. Coated Tomato Knife: Our FIRST tomatoes are popping out and we want to be prepared. This coated knife from pampered chef is one of my favorites and gives the perfect slice every time! ($16!). 10. Pressure Cooker: Want a home-cooked meal but don&apos;t have a lot of time? You must try the easy-living that comes with using a pressure cooker. No more hours in the kitchen, the Gourmia 4-Qt pressure cooker multi-talented pressure cookers includes 13 cooking modes and reduce cooking time by up to 70%. ($50). 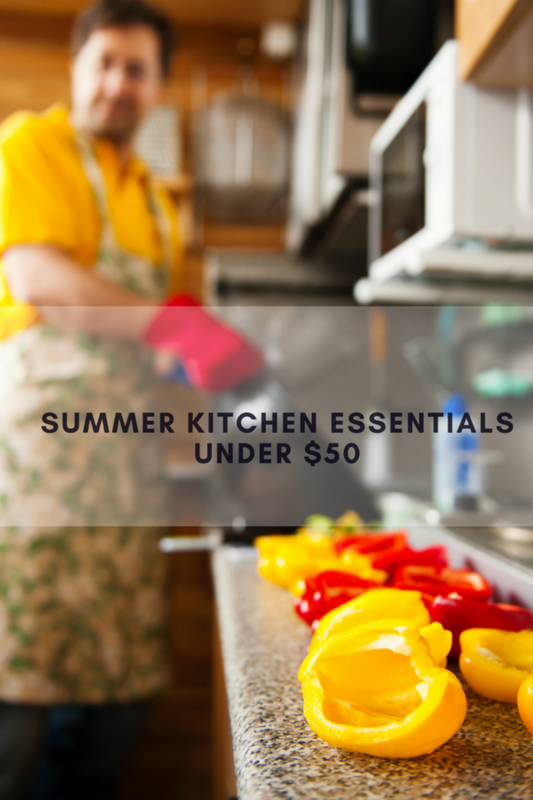 What&apos;s your favorite summer kitchen essential? This is not a sponsored post. This post contains affiliate links and some samples were gifted.